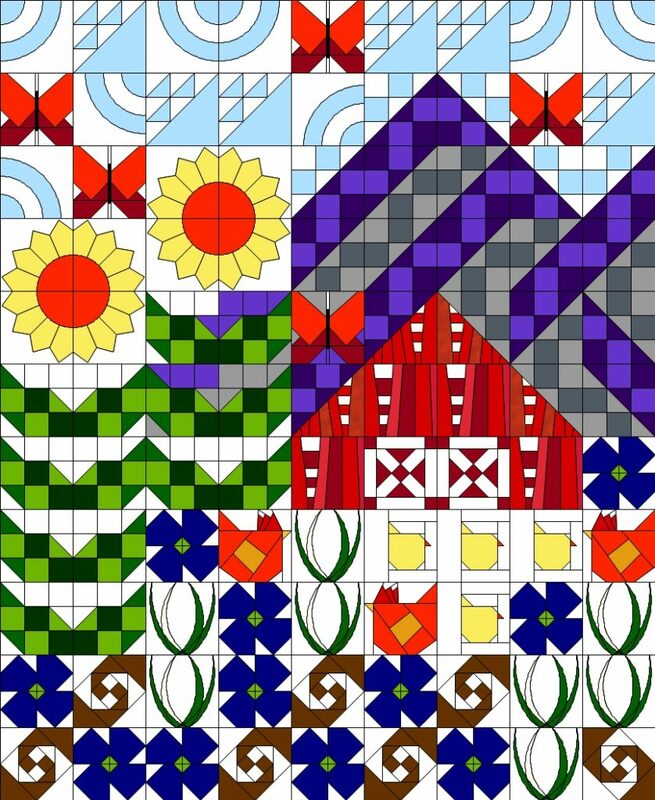 My best laid plans for having my Old MacDonald’s Sampler quilt finished for December 1, came and went … I am still hopeful for an end-of-the-year finish, but in the meantime, here’s the layout with all the blocks. I will post more soon about how to make the half string-half split 9-patch blocks and share the bonus block pattern for the chicks … will anyone else be joining me in the race to the finish before the end of the year? What a fun quilt! Alas, I got behind making blocks and have a few of each. Didn’t get any of some so I have to go back and “catch up” — a project for 2017? I was doing pretty good for awhile .. G! Did we get the pattern for the little yellow chicks yet or did I just miss it perchance? I think this design is marvelous. But … it’s not in my future to accomplish this. I am looking very much forward to see what others have done. Happy to be in this circle of talented people. Hoping that I will be more productive in 2017.